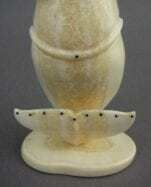 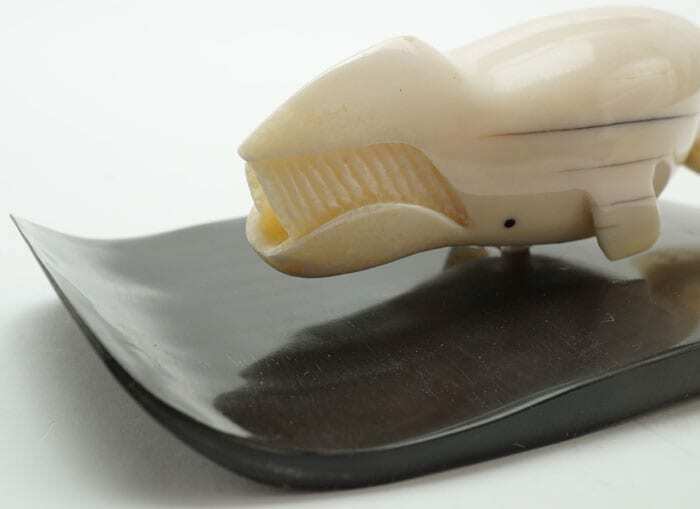 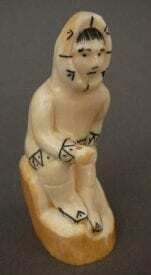 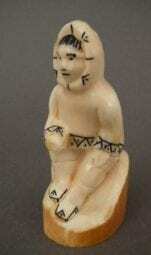 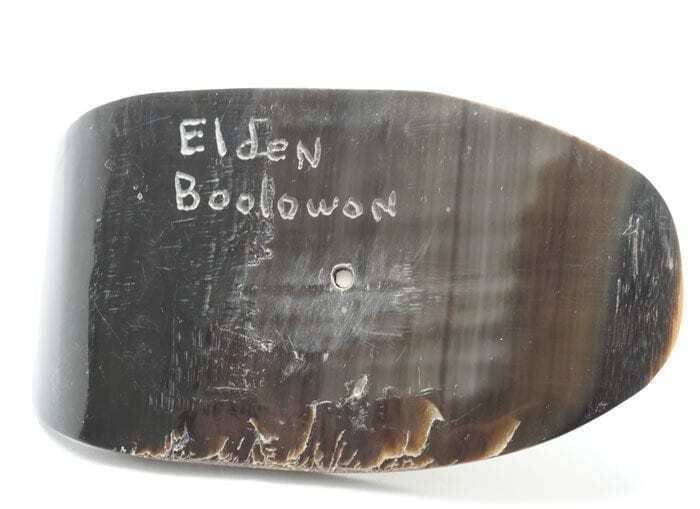 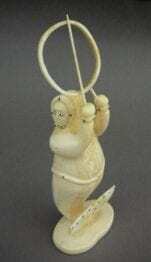 A handsome bowhead whale carved from fresh ivory by Alaskan Eskimo artist Eldon Boolowon. 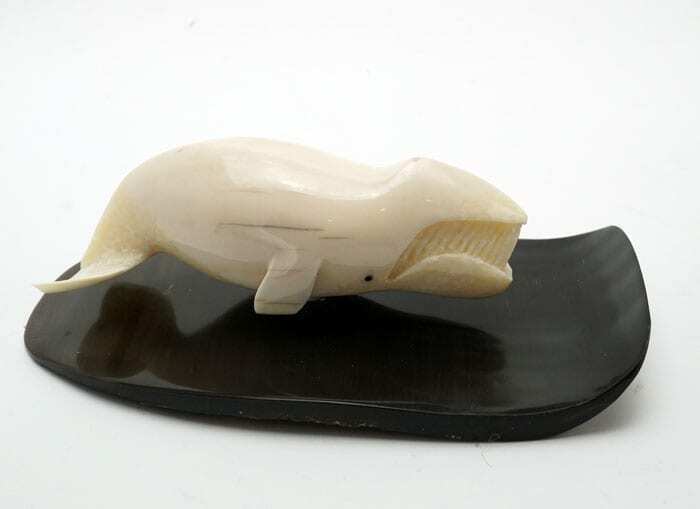 The artist mounted the whale on a baleen base with a graceful curve, creating the illusion of the whale swimming into an ocean wave. 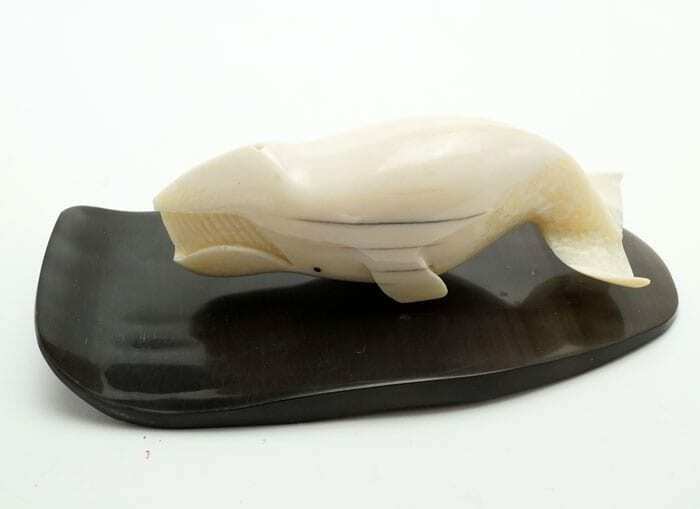 A handsome bowhead whale carved from fresh ivory by Alaskan Eskimo artist Eldon Boolowon. 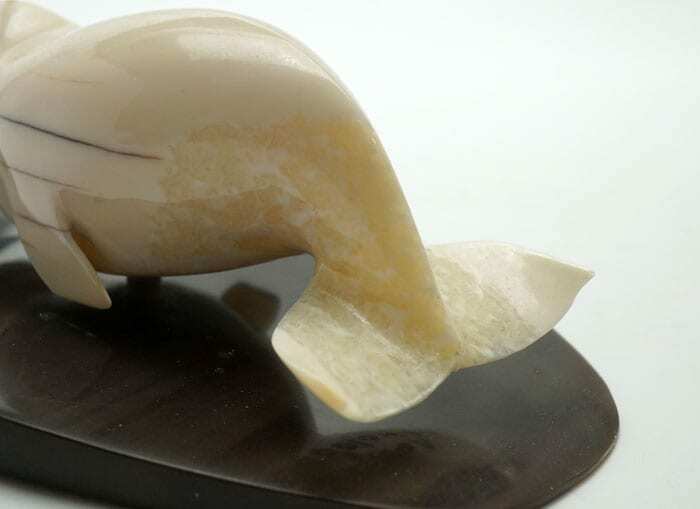 The artist mounted the whale on a baleen base with a graceful curve, appearing as if the whale is swimming into an ocean wave.